This is the import clamp plate found on many locknuts from the 1980s and 90s. 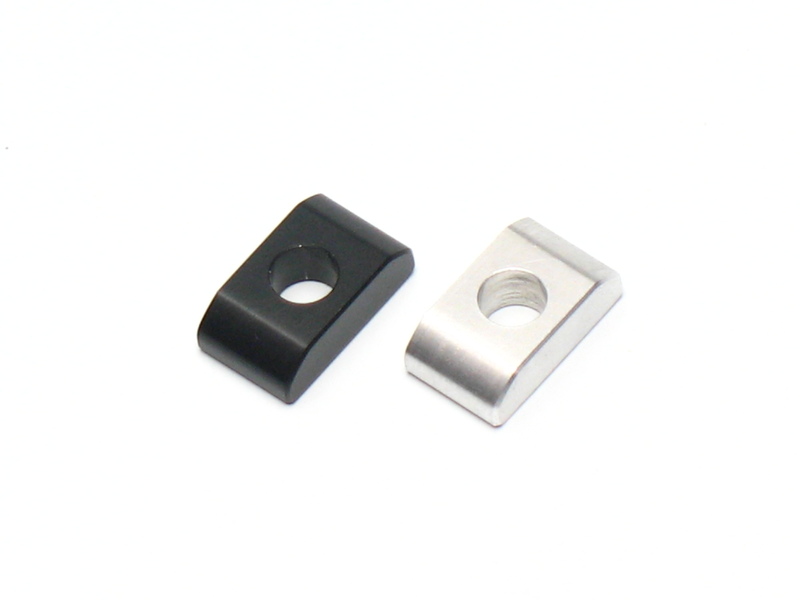 Made from polished 7075 military grade Aluminum, these are super durable replacements for this hard to find item. Size: .3025" - 19/64" - 7.69mm wide, x .5265" - 11/32" - 13.36mm long, x .1645" - 5/32" - 4.18mm thick. The screw that goes with this plate is here.